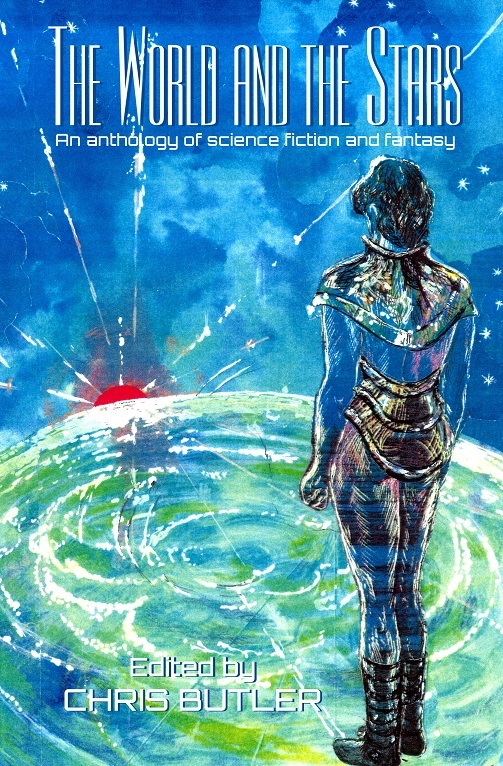 Anthology of Science Fiction and Fantasy. Paperback and ebook. Published 10th April 2015. Edited by Chris Butler. Twenty-four of the most exciting voices in genre fiction bring you the world and the stars, each in their own individual way. Stories by: Tanith Lee, John Frizell, Colin P. Davies, Elizabeth Counihan, Daniel Kaysen, Sue Thomason, Nigel Brown, Liz Williams, Paul Laville, Deborah Jay, Gareth Caradoc Owens, Sarah Singleton, Carmelo Rafala, Leigh Kennedy, Stephen Gaskell, Jenny Davies, Alex Robinson, Deirdre Counihan, Peter T. Garratt, Cherith Baldry, Matt Colborn, Heather Lindsley, Chris Butler, and Rebecca J. Payne. With a foreword by Mike Ashley. Author profiles and all the latest news on the book’s dedicated Facebook page.